My drum kit that chevy told me to post a pic of after I got done setting up lol. That's a pretty nice looking drum kit, like the red colouring. Congratulations. Ah congratulations on that too then. So you play the drums a lot I assume. 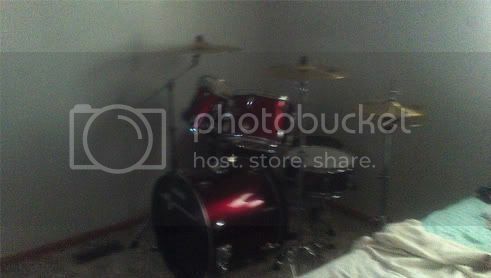 Niiiice drum set Looks all shiny and red. Niiiice drum setLooks all shiny and red.